This is a great appetizer that is relatively easy to make and really impresses people I got the idea from Trader Joe’s feta cheese puff pastry cups my friend Kaitlyn served at a pumpkin carving gathering (I think I might have single-handedly put down half of those). I went home thinking that I might have found a use for the 5 jars of plum jam I had made a few weeks before. I tinkered in the kitchen and this is what I came up with, though I used raspberry jam here since that is readily available in the grocery store. I plan on making this dish as an appetizer for our family’s Christmas gathering. Preheat oven to as instructed on the phyllo dough package. Spray the cups of 2 muffin tins so that phyllo dough does not stick and set aside. Spread out one sheet, cut into 4 squares. For each square divide the layer sheets into 3 and mold each division into a cupcake tin. (Before dividing the sheets into layers you can cut them into a large circle if desired to make them look slightly neater.) Repeat this process with the second sheet of phyllo dough. Now all your muffin tins should be lined with phyllo dough cups. Add about a table spoon of feta to each cup (make sure there is a little left over.) Divide all the onions between the cup and then add about 2 teaspoons of jam. Sprinkle the remaining feta on top. Bake for at least as long as the phyllo dough package indicates. Then continue baking until the dough has crisped and the contents of the cup are bubbling. This dish can be taken to the next level by adding bacon or using bacon jam. This is a great dish that you can prep ahead (up to 24 hours in advance) and then assemble and grill in less than 30 min. It is a bit different from most satays where the sauce is on the side, I prefer to marinate the chicken in the sauce which renders it both flavorful and juicy. I serve this accompanied by a salad for a light dinner or as an appetizer for a larger group. 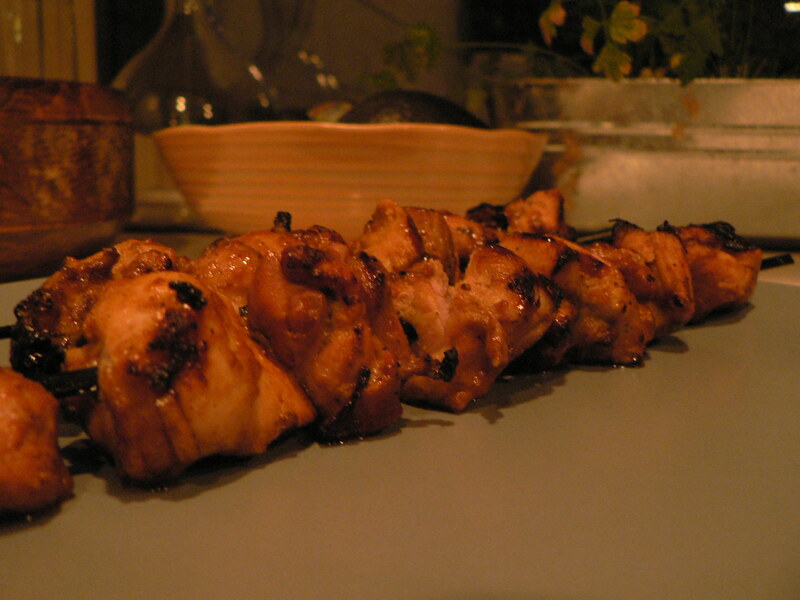 3 lbs boneless skinless chicken thighs (can use breast instead if desired), cut in chunks. Combine all but the chicken in a mixing bowl and throughly mix. Place the chicken in the bowl to marinate. (Or even better I put everything in a ziplock bag.) Place in fridge and marinate for 2 to 24 hours. Skewer the chicken, and then gill until done. This dip is a crowd pleaser, and tastes like it takes a lot more work than it actually does. In truth it is very easy and takes less than 30 minutes to make from start to finish. I like to make it slightly spicy, but you can always cut out the jalapeno for a mild dip or add more to up the heat. I also use full fat ricotta and cream cheese, though I suppose for a lower fat version you could use low-fat cream cheese and ricotta. 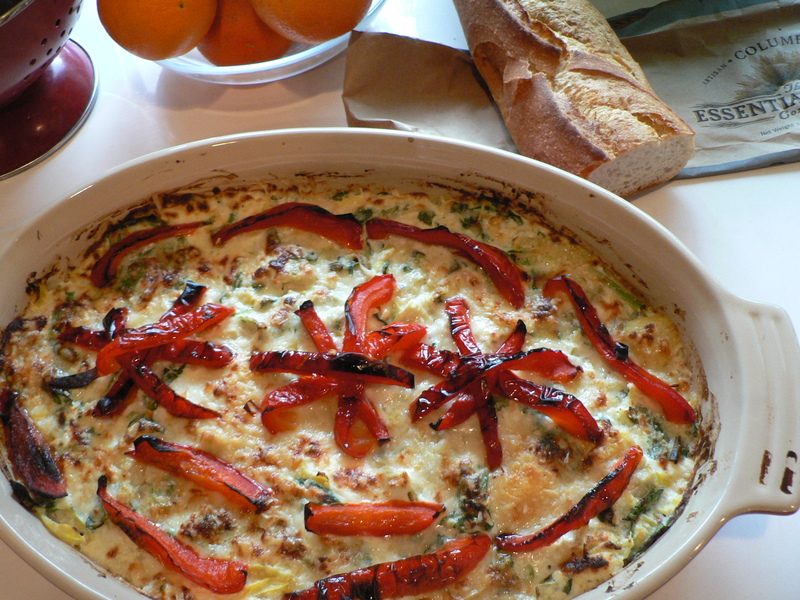 Serve this with fresh French bread. Makes enough for an appetizer for about 12 people, can be easily halved. Quarter red pepper and brush with oil, brush whole jalapeno with oil as well, put under broiler until skin is blistered, about 10 min. Roughly chop spinach and artichoke hearts, add to a large bowl. Mix in cream cheese, ricotta cheese, 1.5 cups of the parmesan. Salt and pepper to taste. Finely dice the jalapeno, if you want a milder dip discard the seeds, for a spicer dip leave them in. Add jalapeno to the mixture and stir in well. Transfer mixture to your baking dish. Sprinkle remaining parmesan over the dip. Cut red pepper into strips and arrange on top. Drizzle olive oil on top for some added taste. I know, bacon jam sounds a bit strange, but trust me it is delicious! You can put it on so many things: burgers, sandwiches, eggs,or just crackers. it also goes very well with cheese and I am looking forward to eating it on grilled cheese sandwiches tonight. 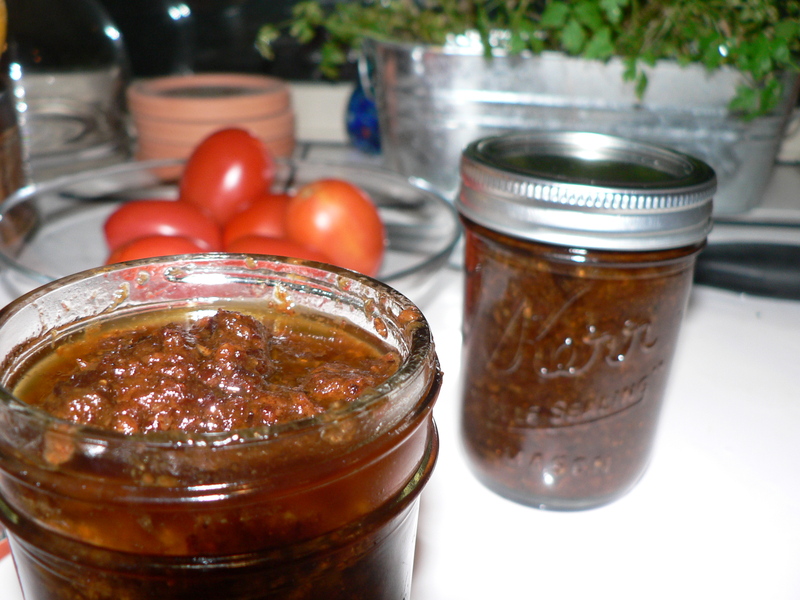 I originally found a bacon jam recipe here, but of course I had to tweak it (and make it better.) I added the whiskey and updated it to be cooked in a crock pot. Make sure to use smoked bacon as it gives it extra flavor. Hope you enjoy! Fry bacon in a skillet until medium done (not too soft, but not too crispy). Set aside. In rendered bacon fat fry onion and garlic. In a crock pot or dutch oven cut bacon into 1 inch chunks (you could also chop it on a cutting board), add onion, garlic and all other ingredients. Put crock pot on high for 4 hours, stir every 20 to 30 minutes. If cooking in a dutch oven bring to a low simmer and stir every 20 to 30 minutes for 3 to 4 hours. Once done cooking let cool for about 30 minutes. 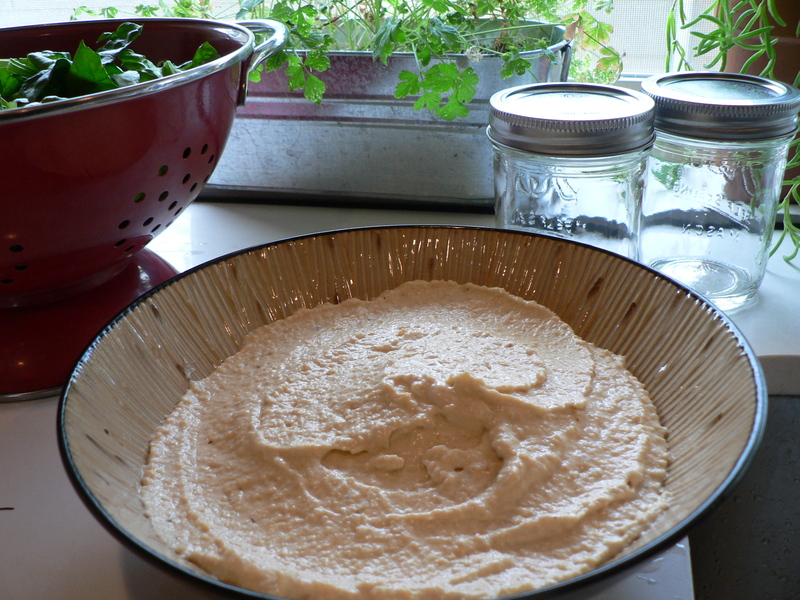 Transfer to a food processor and pulse, do not let it get creamy, just chunky but spreadable. Transfer to jars and store in the fridge.